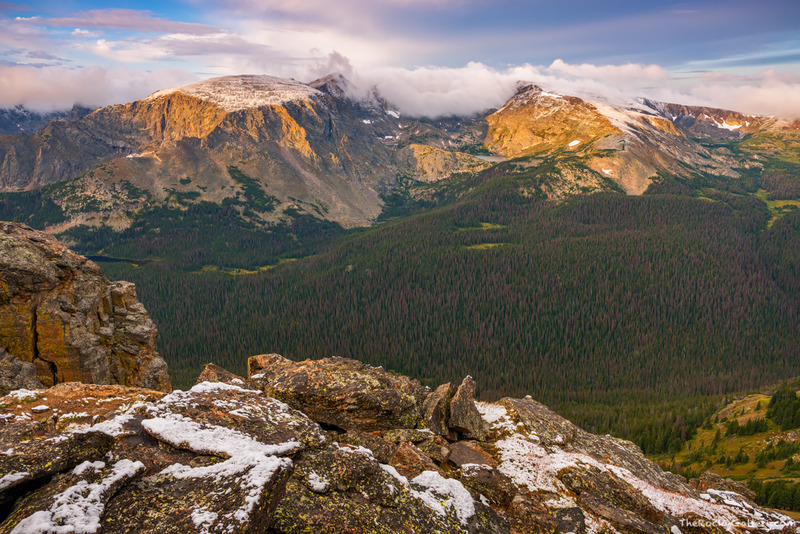 Looking across the vast expanse that is Forest Canyon, the Gorge Lakes idle below the high peaks of Rocky Mountain National Park after receiving the first snow of the seaons. Even though its August, The Rock Cut along Trail Ridge Road has been dusted with snow from the night before. Photo © copyright by Thomas Mangan.